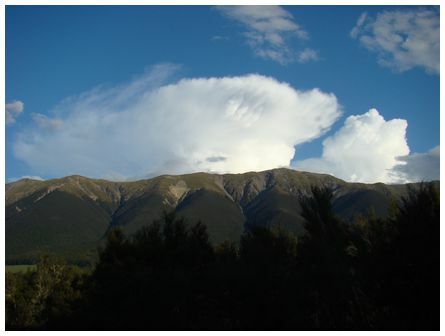 'Cumulonimbus top as seen over the St Arnaud Range from St Arnaud, Nelson Lakes National Park at 19:10 on 28 November 2010. 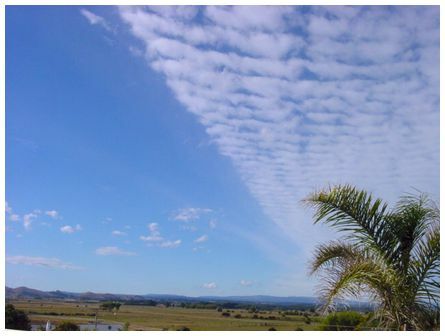 We had a series of 4-5 CB cells form over the same spot (probably the headwaters of the Waihopai River in the Raglan Range, southern Marlborough) during this evening, which we watched from 17:00-21:00. There was a light southerly blowing and these would bubble up, form a nice 'anvil' head and then collapse, with the next cell forming to the south of the disintegrating cell' wrote Grant. 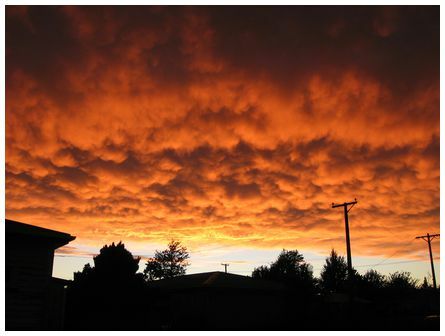 'Sunrise from Te Anau as a north-west front approaches, taken at 07:00 on 24 February 2010' wrote Gerard. 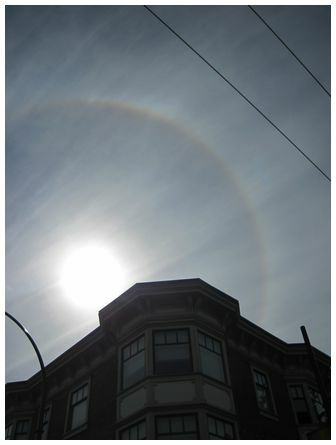 This photo was sent in Jodi Pitkin, she wrote 'my boy shot this as we drove out of Vancouver, British Columbia at 13:47 on 30 June 2010. 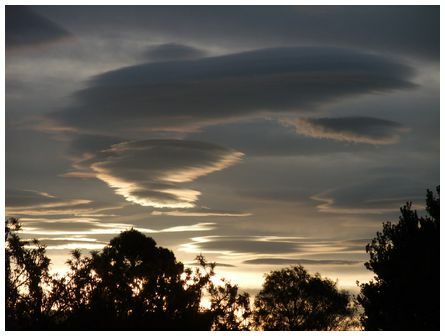 'Lenticular cloud formations that were constantly changing in hue as the sun went down. 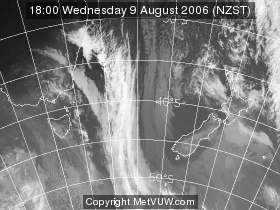 From Avonhead, Christchurch looking west-south-west at 19:50 on 24 October 2010' wrote Grant. 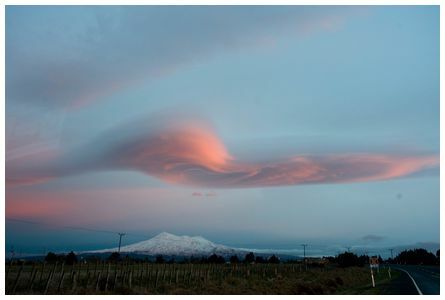 William wrote 'a lenticular cloud over Mt Ruapehu. There was a very strong westerly wind blowing at the time. 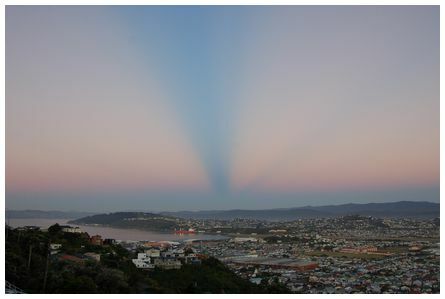 The image was taken with a Nikon D700 camera using a 20-35mm zoom lens at 06:30 on 17 August 2010.